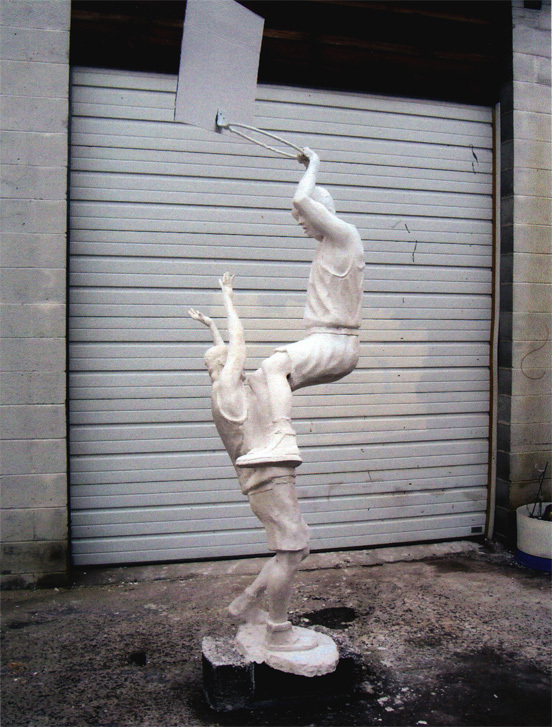 In 2004 I volunteered at the Pawtucket Boys and Girls Club Teen Center, demonstrating the process of making a sculpture from small model to full size casting. I made the small sketch model on the margins of the basketball court, dodging errant balls and answering questions of interested teens. 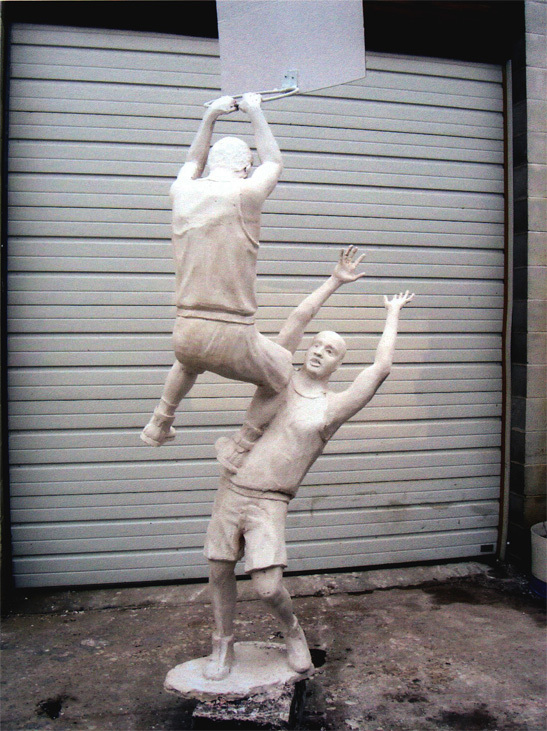 The project then moved to an activity room at the center, where I made the enlargement to 3/4 life size in clay. 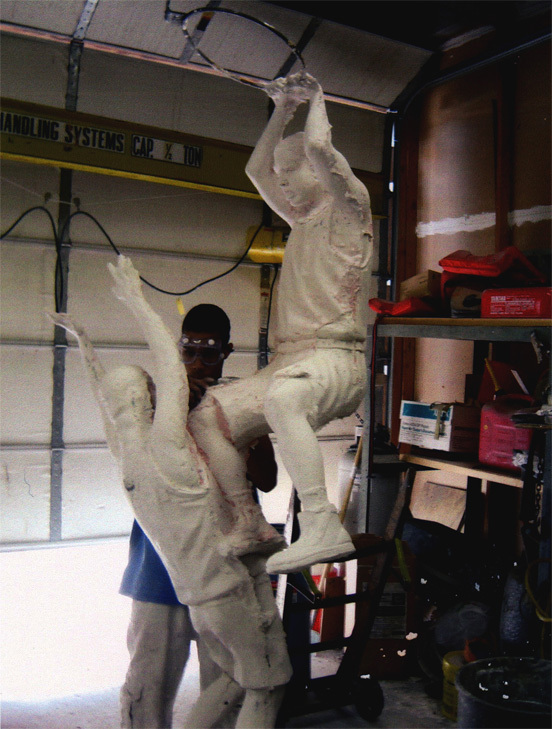 Teens helped me at all stages of the process and one even apprenticed at my studio to help with the plaster mold and casting.